Part of the new "too shea" Accessory Collection. We have scouted the Tri-State area and beyond for these vintage finds. 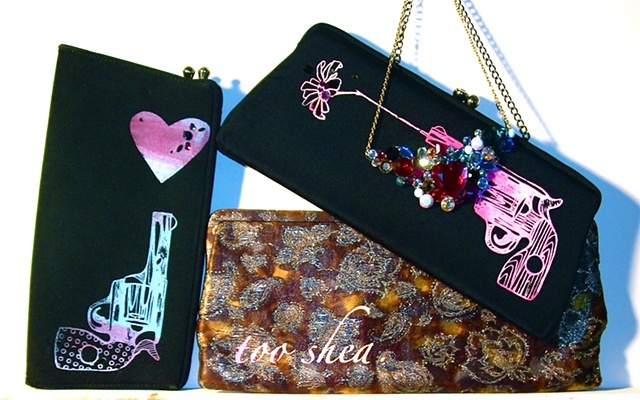 After hand picking each of these clutches, we then hand print an original "too shea" design, add some hand additions. And voila... you've got an exclusive one of a kind. Not another on the planet. Available for sale SPRING 2010.